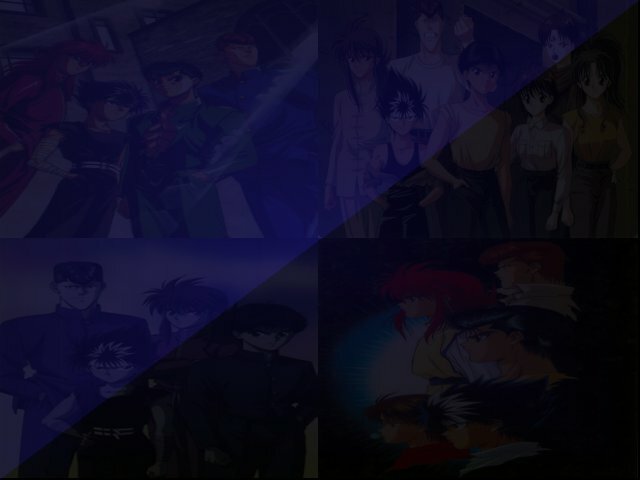 The series information page provides you the needed knowledge about Yu Yu Hakusho. Episode summaries, movie reviews and oav analysis, name it. Be informed though that the information in here is not 100% accurate, but nonetheless will provide beneficial information. By the way, within the guide, characters and important events will be mentioned in its original japanese name, with its english equivalent. However, some terms, places and scenes will be expressed in english for easier understanding. Thank you and enjoy! Yusuke dies trying to save the life of a young boy. In return, he was given another chance to live by the ReiKai (spirit world), as its spirtual world detective. With the help of Koenma, prince of the spirit world, Botan, the spirit world representative, and his girlfriend Keiko, he returns to life. Revived, Yusuke returns to his old self, with new challenges to meet. Having a mission of protecting his own world from the monsters lurking beneath, he meets two allies, Kurama, the wolf-demon, and Hiei, a multi-eyed demonic monster. Later on he joins a competition by the great Genkai with the winner to receive her power. There he tracks a powerful demon named Shourin whom he was able to defeat. 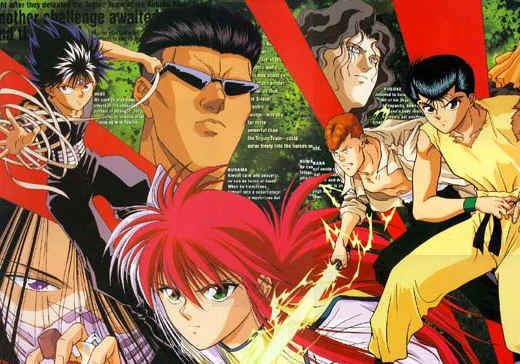 Winning the competition he receives intense training from the great Genkai, and together with his best friend Kuwabara, Kurama and Hiei, he went on a mission to fight what could be his toughest assignment yet, the four powerful demons of the MaKai (demon world), who was planning to conquer the human world. After overcoming all odds, he receives his next mission which was to rescue a girl by the name of Yukina, and there he meets a demonic force named Toguro.. In the midst of rescuing Yukina from the evil clutches of a greedy old guy named Tarukane, they met and somehow defeated one of his henchmen named Toguro. Kuwabara, who joined Yusuke in his mission, was instantly infatuated with Yukina, unknown to him that he was Hiei's sister. Later on they find out that Toguro was in no way defeated, and that he only used Tarukane to meet a character such as Yusuke. He confronted Yusuke and showed him his true strength, an unmeasurable power Yusuke thought that never existed. He challenges him to join the Ankoku Bujutsukai, a tournament of the demons. Never did Yusuke know that joining this tournament was a big mistake, a mistake that would threaten he and his friends' very own life. Still, he was up to the challenge, and he defied the odds by surviving the horror and advancing to the tournament, beating powerful demons in the process, and at the same time getting the experience he needed for his dream rematch with Toguro. Later on he discovers the truth behind his rival, and his mysterious relationship with his master, Genkai. After Toguro and Genkai has settled their own altercation, it was up to Yusuke to continue the legacy of his master, and to defend his pride as a true warrior. Yusuke returns to the human world only to find out that a mysterious force has opened a dimensional gate transporting monsters from the demon world to invade the human world. In order to prevent the unstoppable attack he and his friends went on a mission to search the source of this pandemonium. Leading the pack of aggression was a man named Sensui, the dark angel, a former spiritual world detective. 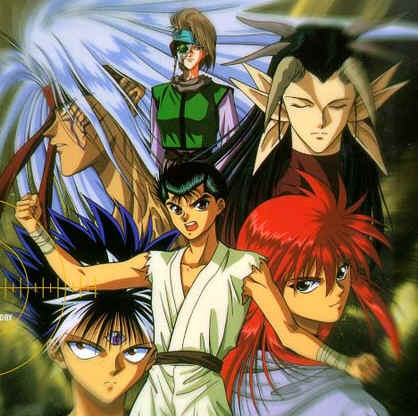 Together with his seven gatherers they fulfilled the dream of Sakyou, Toguro's overseer of the Ankoku Bujutsukai, to connect the demon world and the human world. Fearing the worst, Yusuke desperately tried to end the scenario by confronting Sensui and his associates. 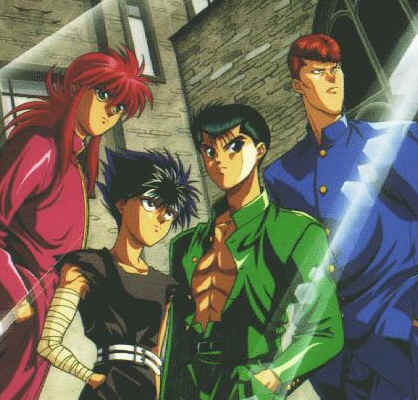 Despite getting by the others, Yusuke failed to match-up with Sensui, who exhibited incomprehensible strength. Even Koenma and his spiritual power could not stop a demon like Sensui, which eventually led to Yusuke losing his life... once again. His friends tried dearly for revenge, but still could not match up to a power as strong as Sensui. Suddenly, a demonic power awakened from within Yusuke and brought him back to life, and with this newly found strength he challenges Sensui once again to end it all. Baffled by the birth of a demonic power, Yusuke went back to the demon world in search of the man who brought this strength within him. Meanwhile Kurama returned to the demon world too upon being summoned by Yomi, his old comrade, and Hiei also returned to the demon world to search for his past, and in time met with Mukuro. Eventually Yusuke meets one strong demon named Raizen, which he realizes to be his descendant from generations ago. Raizen was the guardian of peace in the demon world, but upon his timely death he needed someone to pass the torch on, and it was Yusuke, which Yomi and Mukuro, both aspiring for the throne, wholeheartedly opposed. 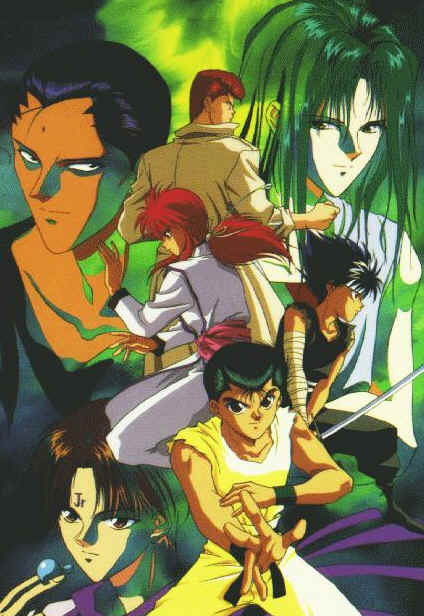 To settle the dispute Yusuke instituted a new Ankoku Bujutsukai where the winner will be the new leader of the demon world. Unknown to him he must now fight his allies Kurama and Hiei, who both sided with Yomi and Mukuro, and more worse, he must now confront the strongest demons he never imagined to exist. Now Yusuke must face his toughest mission ever, not as a spiritual world detective, but as a warrior with demonic blood running through his veins, to determine the fate of the demon world, and more importantly, to determine his destiny.